I was very impressed with all the cuisine and food variety in Barcelona. 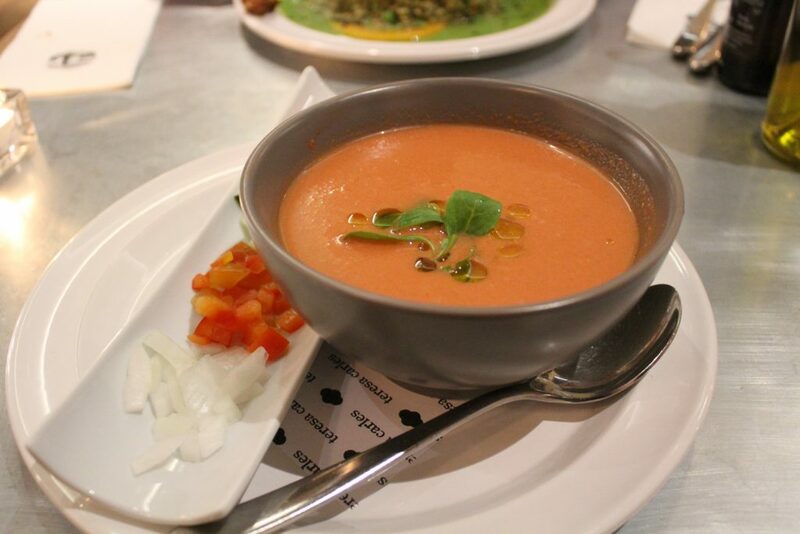 You can find from very traditional Spanish and Catalan cuisine to very modern options with a healthy approach. 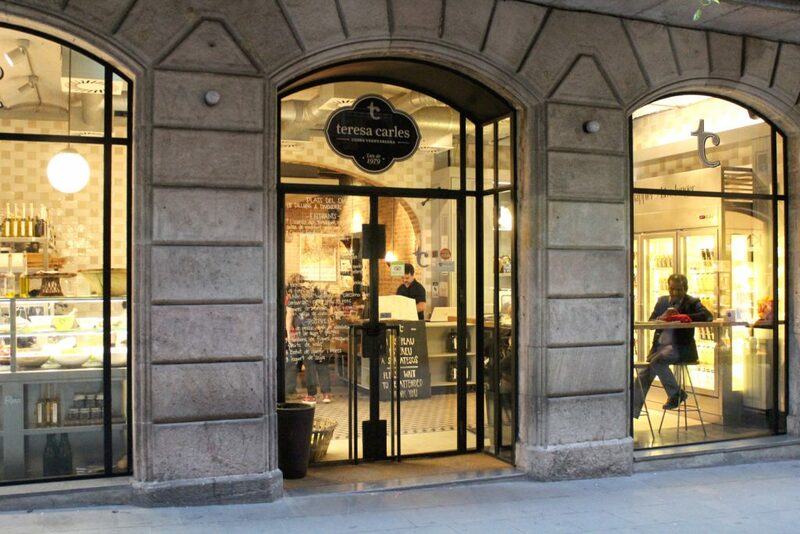 Teresa Carles was one of these healthy modern restaurants around the city that really made us happy for the night. 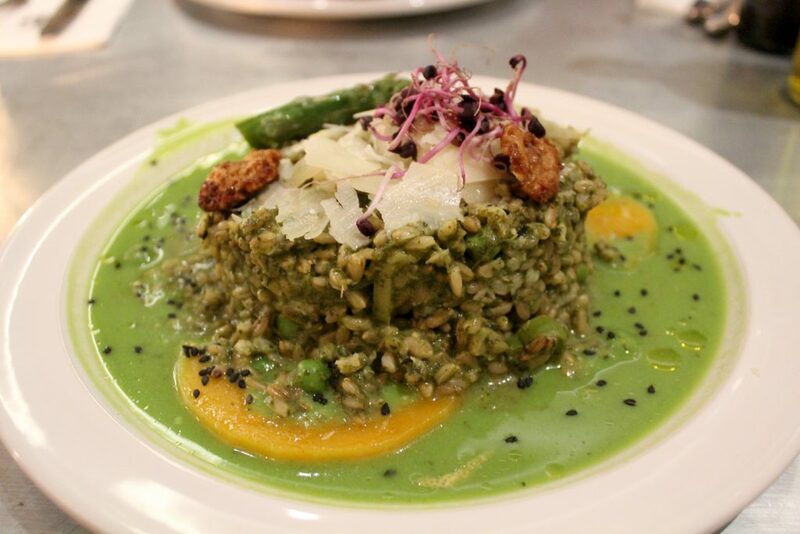 Hubby: Verde que te quero verde risotto – Oat’s risotto with spinach, green asparagus, zucchini, roquefort cheese, and grated lemon rind. 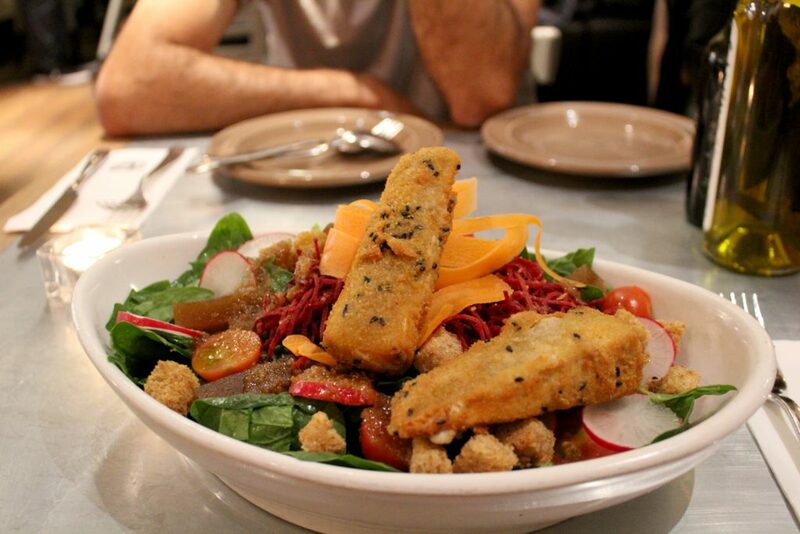 Spinach & Brie Salad – Spinach, croutons, pumpkin seeds, homemade quince, warm brie with a fig vinaigrette. Every single dish was spot on! Hand’s down to the oat’s risotto Hubby chose. It was a very pleasant surprise. Never thought about using oats as a replacement for rice, and after that, I’m totally trying the experiment at home. The only downside really was the breaded and deep fried brie. Yes, it was delish, but when I read “warm brie” I thought it would be grilled, pan-fried or something similar, but not DEEP fried.